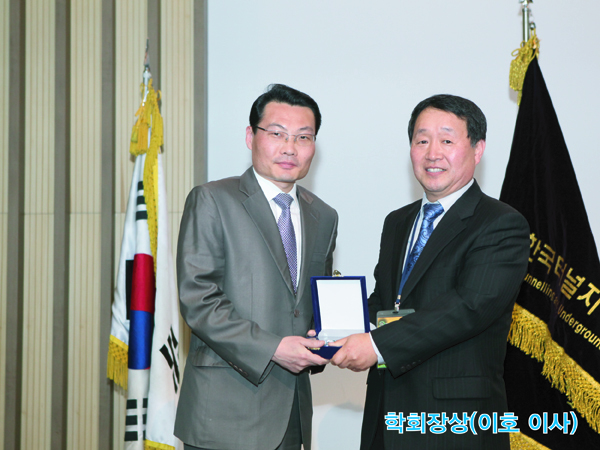 Mr. Je-Don Hwang, the President of ESCO, and Mr. Ho Lee, the Managing Director of ESCO, received Academy Award and Society Award from the Korean Tunnelling and Underground Space Association (KTA) at the General Assembly and Annual Spring Conference of the KTA which was held in 2014. Both of them were highly recognized for their contribution to the development of the society. ESCO sincerely congratulates Mr. Hwang and Mr. Lee!